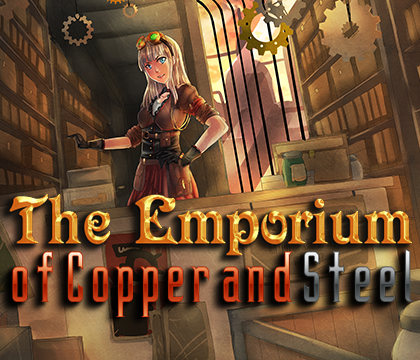 The Emporium of Copper and Steel features over 30 orchestrated tracks with a distinctive Steampunk/Western sound. Composer Murray Atkinson brings you any mood you could ask for, from Zimmer-inspired Sherlock Holmes style full orchestral masterpieces to mysterious Chopin-like piano nocturnes, epic confrontations to old ragtime piano playing in a classic saloon, Django Reinhartd-style Gypsy jazz, Baroque harpsichord parlour pieces conjuring images of 18th Century European nobility, and fast paced post-punk industrial blitzes perfect for epic steampunk fueled battles. If that wasn’t enough, the pack also has over 50 unique sound effects, perfect for puzzles and exploration! Fans of great music, and especially Steampunk, won’t find a better accompaniment than this. 34 gorgeous orchestrated tracks – over an hour of music! 54 Steampunk sound effects and musical cues. Themes for every mood – adventure, romance, dread, humor and battle. .wav, .ogg, .mp3, and .m4a formats included.